Cirque du Soleil returns to London, with a show that’s more spectacular than ever. Even in a city famous for its incredible entertainment, the Cirque du Soleil is always a special event. Now it’s back for nearly two months with a breathtaking new show, Totem, at London’s iconic Royal Albert Hall. We’re excited! 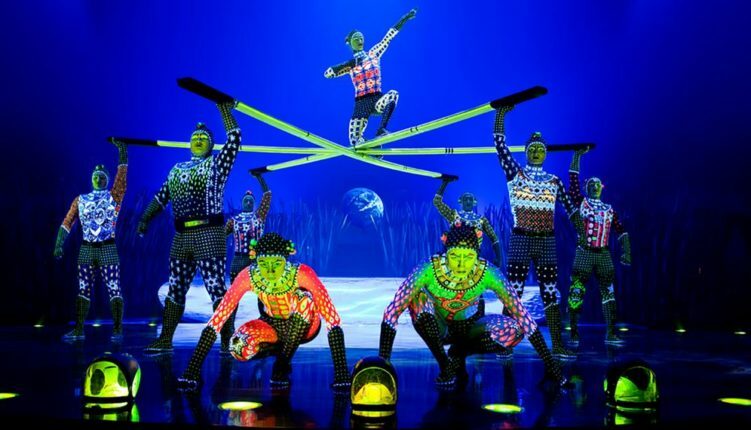 There’s no time for January blues here in London as Cirque du Soleil comes to town. Yes, there’s all the usual energy, glamour and artistry that you expect from these dazzling entertainers. Once again, Cirque du Soleil brings together stunning sets and breathtaking artistic brilliance. But its new show ‘Totem’ reaches fresh heights with its theme of creation myths, evolution and the celebration of human curiosity and achievement. The performance has already received glowing reviews. And where better to experience it than London’s famous Royal Albert Hall in Kensington? The venue is renowned for its unique atmosphere and has a wide range of bars, cafes and restaurants. From stylish and elegant to relaxing and family-friendly, there’s something special for everyone to enjoy before the show. ‘Totem’ runs until 26th February this year, with both mid-afternoon and evening shows. Prices change depending on demand. It’s a popular show so book early to get the best prices and to ensure a good choice of seats. There are also discounts for children aged 3-12. If you’d like to indulge in some luxury, VIP and other packages are available to make your experience truly special. 4 markets in London you shouldn’t miss!